From Patagonia to British Columbia, with more than a dozen domestic stops around the country in between, 2011 was a busy year for Team GearJunkie/YogaSlackers. 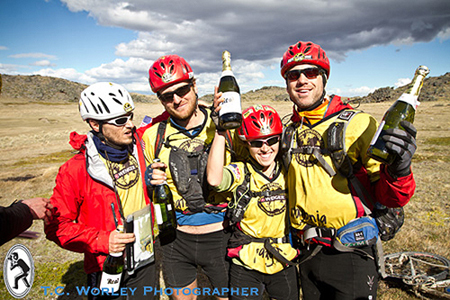 Our race team, which was co-captained by GearJunkie editor Stephen Regenold and Jason Magness, a founder of the YogaSlackers, competed in some of the world’s toughest wilderness events, from the week-long Wenger Patagonian Expedition Race in Chile to Expedition Idaho and the Gold Rush Mother Lode, both expedition-length races in the American West. 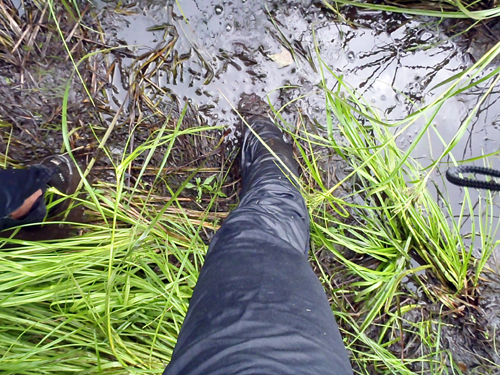 To kick off 2011, we re-launched a micro-site channel on GearJunkie to cover the Wenger Patagonian Race. We then traveled to South America for three weeks to complete the international race (in 2nd place!) while our team of GearJunkie photographers/videographers and reporters (T.C. Worley, Sam Salwei, and Paul Cassidy) followed the action and reported as “live” as they could from one of the most remote places on the planet. 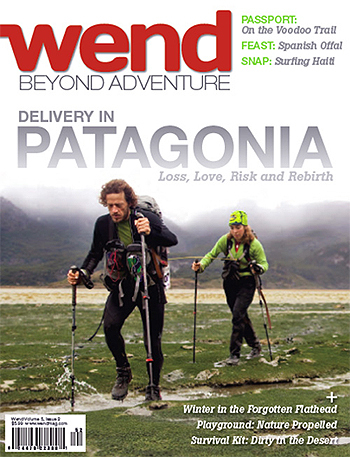 In 2010, Wend magazine put GearJunkie/YogaSlackers on its cover. Our team graced the intro letter in Outside magazine this fall in an article that cited our squad as the “most credible” gear testers around. Indeed, an important point of our team since the start has been to function as an “ultimate test lab” to review some of the world’s best outdoors gear. “We’re going to serve as lab rats to put gear through the most extreme conditions imaginable,” said Gear Junkie’s Stephen Regenold before the 2011 season began. 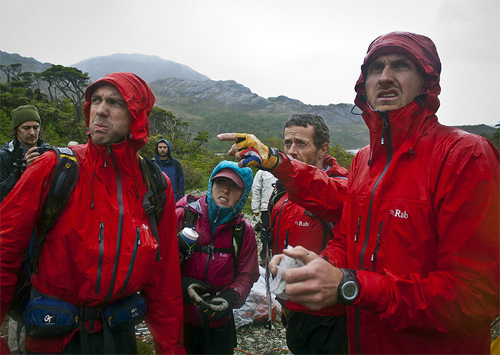 This “ultimate testing” kicked off hard in Patagonia, in February, 2011, where Regenold and crew trekked for days into the wilds before deploying a secret plan of using Therm-a-Rest camp pads in a bold move to “raft” whitewater near the tip of South America. (See the video here.) For other events, we got prototype shoes and put collectively hundreds of miles on them. Fenix sent us pre-production L.E.D. lights to test and blaze the nighttime woods. Wigwam sent a large box of race socks. 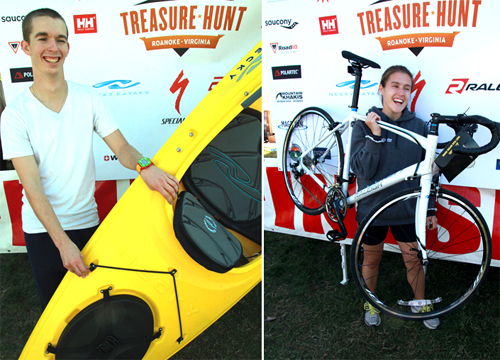 Our bikes, packs, and even energy food represented state of the art at some events, and for other races we went more with “tried and true” for our gear choices, including merino wool shirts and fell-running shoes that have been on the market for years. ‘Ultimate Gear Test’ in video from Wenger Patagonian Race. We covered dozens of products in depth via reviews on GearJunkie. Jason Magness wrote several “Ultimate Gear Test” articles after expedition races, including this in-depth look at equipment used in Expedition Idaho, and this article about the best gear from the Patagonia race. Regenold covered gear weekly on the blog as well as for other publications. His story on the best adventure-racing gear was seen in an article for Outside magazine, “The Gear Junkie’s Top 10 Adventure Racing Essentials,” in September. 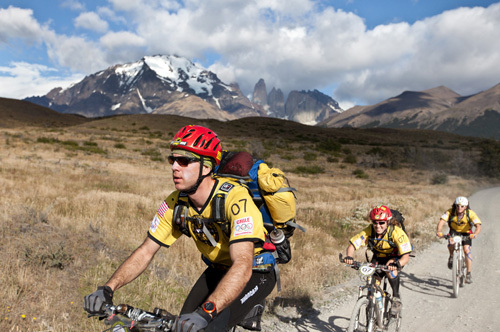 Our big cinematic debut came in “The Last Wild Race,” a documentary film on the Wenger Patagonian event. Our team was a central focus in the film, as we were the underdogs the whole race trying to catch first-place Team Adidas. 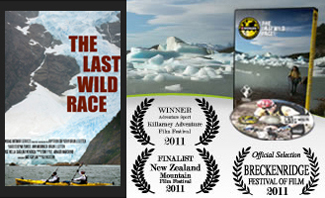 Since its debut last spring, “The Last Wild Race” has won four film awards, including “Best Adventure Sport Film” at the Killarney Adventure Film Festival in Ireland. It aired on Outside Television, Fox Sports Network and NHK this summer. 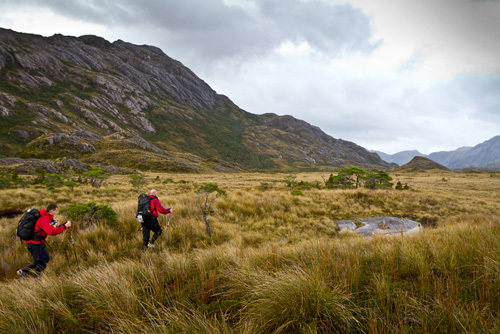 There is a poignant scene in the start of the film — see it in the trailer here — where Stephen Regenold, dripping wet in the cold and devastated from days of trekking, is asked by the cameraman where they are in the wilds. “I have no clue,” is Regenold’s only forlorn response. Home from South America, our race squad split its time between Minnesota (GearJunkie’s HQ) and Bend, Ore., where Jason and Chelsey Magness and Daniel Staudigel live. Along with a large roster of geographically-dispersed racers (including Tom Puzak, Andrei Karpov, Kelly Brinkman, and Andy Magness in and around Minnesota, and Canadian Lina Augaitis) we raced in orienteering rogaines (Badger Rogaine Race, Wis.; 1st place overall), regional events like the MNOC Adventure Race in southern Minnesota (1st place overall) and the Stubborn Mule in Wisconsin (1st place overall). Team GearJunkie/YogaSlackers (in typical YogaSlackers pose formation) pre-race at Expedition Idaho photo opp. We got into directing and organizing several races as well this past year. 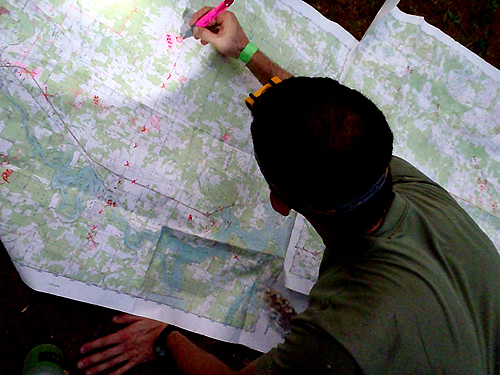 In late August, Andy Magness directed the END-AR 24-Hour race in North Dakota. Online, we ran a “virtual race” with our “Checkpoint: SPOT” game, a GPS-based treasure hunt with checkpoints scattered around the United States. In Oregon, in early October, the YogaSlackers contingent debuted the BaBAR 24-Hour Race in Bend. Then, on Oct. 23, GearJunkie.com hosted its second annual “Treasure Hunt: Roanoke,” a unique adventure race where almost 200 participants scoured the urban landscape and an adjacent mountain preserve in Roanoke, Va., for checkpoints to win gear. By the season’s end, GearJunkie/YogaSlackers, was a top team in the United States, ranking as high as 4th place overall on the nationwide Checkpoint Tracker series leaderboard. We traveled to Kentucky for a final race at the Checkpoint Tracker National Championships. 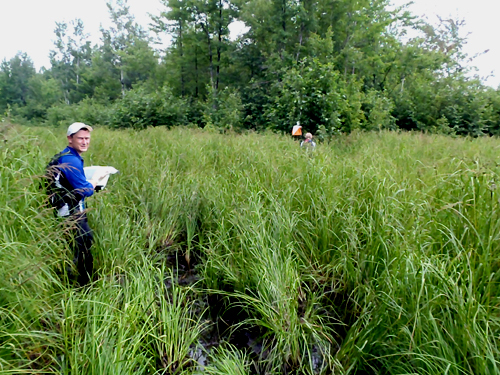 We had high hopes for the season-ending event, as many of the nation’s best teams had come to “play.” A few bobbles on a long orienteering course — plus a bike repair that required an hour of attention! — put us in 6th place for the event, a respectable finish to a long and tough season of racing around the world. Team GearJunkie/YogaSlackers would like to thank its supporters for the intense and defining year. We had a ton of fun and pushed our bodies and our gear to the utter max. We’re happy and proud of our 2011 performance and this winter will be training and preparing for what we hope to be an even more stellar 2012! 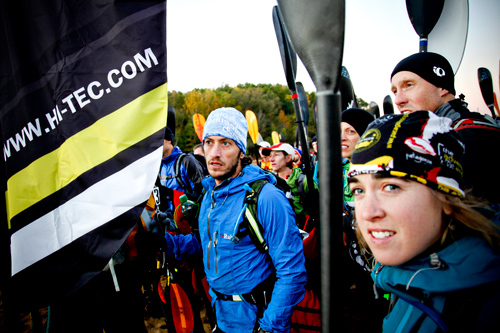 —As the first big event of 2012, Team GearJunkie/YogaSlackers will head back to Chile to race the Patagonian Expedition Race in February. Follow the team in South America and throughout the year on GearJunkie’s team micro-site, GearJunkie.com/Team.